Ms. Lauryn Hill sends a message of apology to MayDay Live organisers. Very sweet of her. Dipo is a signed artiste under Cackland Music and is being Managed by Rouge Management. “Be Your Man” is really receiving a lot good reviews and I believe this video will help push the track even further than expected. The video was shot in Kaduna by the talented director Toka. First Official Trailer of the movie 'October 1'. It's September 1960 and Nigeria's is on the verge of independence from British colonial rule. A northern Nigerian Police Detective, DAN WAZIRI, is urgently despatched by the Colonial Government to the trading post town of Akote in the Western Region of Nigeria to solve a series of female murders that have struck horror in the hearts and minds of the local community. On getting to Akote, more murders are committed. With local tension rising, Waziri has a race on his hands to solve the case before even more local women are killed. Looks like another great movie from﻿ the fantastic Kunle Afolayan. 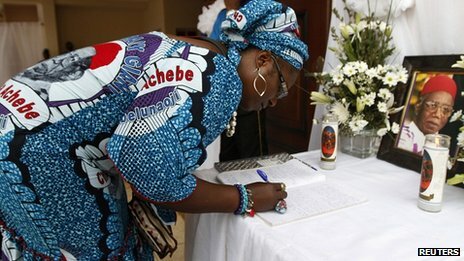 Thousands of mourners have paid their last respects to renowned Nigerian author Chinua Achebe in his home town in Anambra state. A host of dignitaries attended the funeral including Nigerian President Goodluck Jonathan. The BBC's Will Ross, who was at the funeral, said that Mr Achebe was given a colourful, grand send off in his home town of Ogidi. Pride Nigeria (PNGR) aims to showcase the very best of a great nation; a people who, despite the 'Everest' of odds stacked against them, are doing their best. We also hope this sparks (or should I say adds to) a discuss on moving forward rather than the same old rhetoric and rehearsing of the obvious. We also plan to challenge stereotypes of Nigeria as sometimes propagated by some of the western media*. What we are not is a race magazine nor are we focused on the ills of colonialism even though it might come up from time to time; we are looking forward with eyes of hope. Copyright PRIDE NIGERIA, 2012 - 2018.